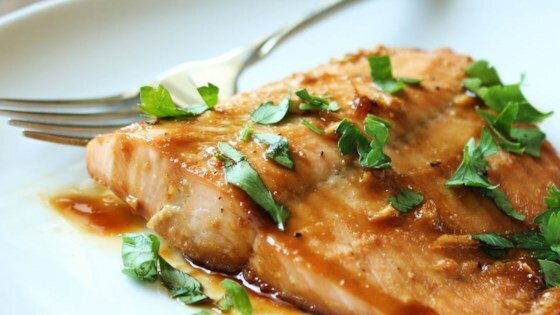 "This is the best and most delicious salmon recipe, and very easy to prepare. I love maple in everything and put this together one night. My husband totally loved it; he did not like salmon that much until he had this." Hi - this is Starflower and I submitted this recipe. Just wanted to let you know...you never marinate fish for more than 30 minutes! It is not like meat. Per professional chefs.